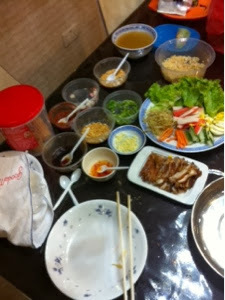 What we did with leftover condiments from our earlier popiah party. We added grilled chicken slices and crab sticks. 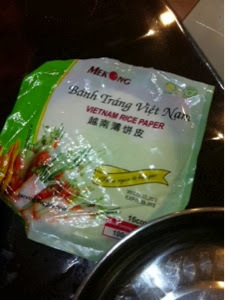 And threw in some Vietnamese rice paper as wraps.